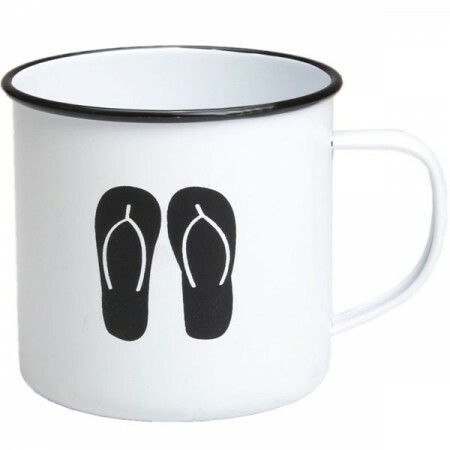 A classic white pannikin (metal cup) with a retro sandal decal. Perfect for use outdoors like camping and fishing or for around the home. 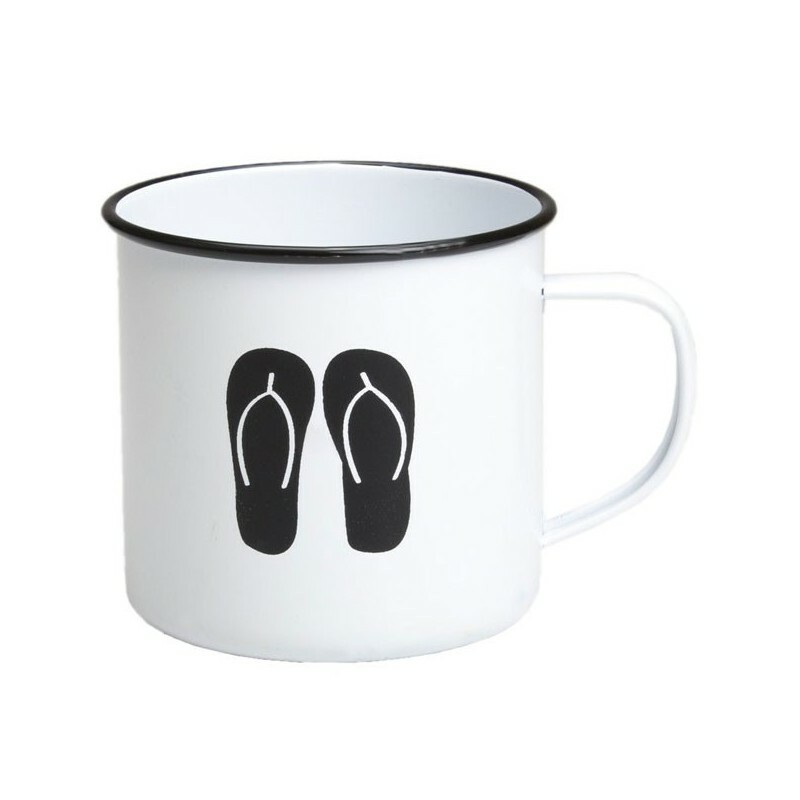 This enamel mug features a white body with a black decal and rim. Made from high quality metal with enamel coating. By purchasing reusable instead of disposable and participating in BYO, you're minimising consumption demand and waste creation. Metal and enamel products will last a lifetime. 9cm x 9cm plus handle. Highgrade carbon steel with enamel coating. See your local council for best recycling options. Browse our other outdoor products.